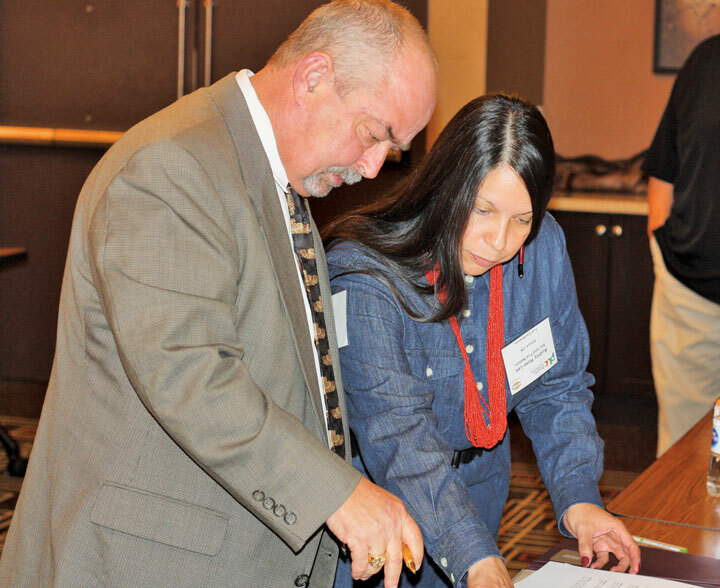 During the Four Craft Unions & Tribal Nations panel, the Sac and Fox Nation of Oklahoma and the Pipeliners Local Union 798 signed a memorandum of understanding, with Danny Hendrix (left) representing the union and Second Chief Audrey Rose Lee representing the Sac and Fox. The deadline for the 2019 Pipeline Leadership Conference call for abstracts is just three days away. The fifth annual event will be held Nov. 6-7, at the Hyatt Regency Houston Intercontinental Airport, in Houston, Texas. Abstract submissions should be sent via the conference website, plconference.com, by Friday, March 29.